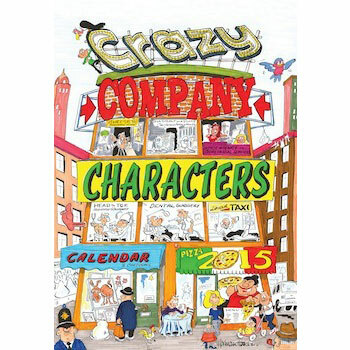 Every company has a character, and the crazy company characters calendar is a hilarious depiction of the characters we all know and love. The calendar has a gloss varnish cover, 12 leaves and is white wire bound with the logo positioning being in the middle of the page under the picture and before the date calendar rather than the standard design of above the picture. An excellent promotional choice for a seasonal giveaway.